Congress failed to keep the FAA funded so airport projects are in jeopardy. Inaction by Congress has halted work on important modernization projects at the Oakland International Airport and on other airport improvement projects across the country, U.S. Transportation Secretary Ray LaHood said. LaHood told reporters in a conference call Monday that because Congress failed last Friday to keep the Federal Aviation Administration fully funded, 4,000 of the FAA's 45,000 employees were furloughed over the weekend and construction workers were told to stay at home. However, FAA Administrator Randy Babbitt said air traffic controllers are continuing to work and there has not been any impact on flights. "Air traffic is fully managed and there's no compromise to the safety of the traveling public," Babbitt said. 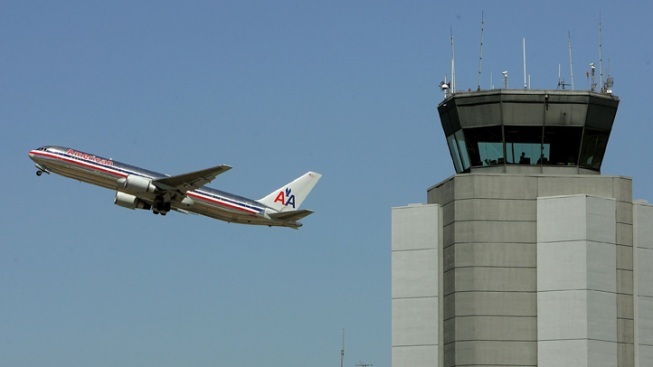 LaHood said a funding fight in Congress has forced the issuance of more than $148 million in stop-work orders at airports across the nation, including for a $31 million project to build a new air traffic control tower at the Oakland airport. "Thousands of construction jobs have been halted because Congress didn't do its work," he said. Port of Oakland spokeswoman Marilyn Sandifur said ground was broken last October for the project to build the new 236-foot air traffic control tower. The project is scheduled to be completed in 2013. Sandifur said the new tower will replace the two smaller and aging towers that currently serve the airport, give air traffic controllers a better view of the airfield and make the airport more efficient. She said 60 people are working on the project but they were told not to report to work Monday. San Francisco International Airport will also be hurt by the lack of funding. Some of the people furloughed were working on approval for a plan to allow super large airplanes to fly into SFO. They are looking for permission for Boeing 747-800's to begin flight service. LaHood said "there's no excuse" for Congress failing to pass legislation that maintains full funding for the FAA, and added that the funding "is critical for our country and our transportation system." Justin Harclerode, a spokesman for House Transportation Committee Chairman John Mica, R-Fla., said the funding flap is complicated and stems from Mica's bid to cut about $16.5 million in federal subsidies to 13 small airports. Harclerode said Mica wants to cut the funding because he thinks the subsidies are excessive and amount to more than $1,000 per airplane ticket at some small airports. He said the proposed reform is "very modest." Harclerode said the measure was attached to a routine bill to reauthorize the FAA's taxing and spending powers through mid-September. He said Congress passed the reauthorization bill last Wednesday but the Senate has not acted on it as of Monday afternoon. The funding extension would have been the 21st since the FAA's long-term funding authorization expired in 2007. LaHood said Congress should pass what he described as "a clean bill" without Mica's measure to keep the FAA fully funded now and work on long-term solutions to proposed reforms at a later date "so people can go back to work" soon. However, according to Harclerode, "it's hard to predict" when the Congress and the Senate will agree on a new authorization bill for the FAA. "We'll see what happens," Harclerode said.